I recently updated a logo for a friend’s theatre production company. The old logo, in my opinion, was due for a change. I can say this because I made it. Like 15 years ago. It’s an especially humbling thing having to look back at your past work. My friend Brian (director of said company) still liked it (which is great), but for me, it was a lot like looking at your old haircuts or fashion choices; it’s hard not to be too critical, much more critical than you’d be of a friend. We can all stand to be better friends to ourselves, you know? So in the interests of not bashing my past self (she tried her best! ), I’m going to post the before and after without a lot of critique of the past. Boy, did I ever think this typeface was IT. Personality! Attitude! Quirkiness! These were the halcyon days of Homestar Runner, Ringer tees, Myspace. The wrist cuff was on it’s way out, but still lingering. We were basically living Book One of Scott Pilgrim. Quirkiness had yet to be dragged around the block by Zach Braff and Kiki D. (a.k.a. Kristen Dunst). It was still fresh. Was this even trendy, then? I have no idea. I have a keen eye for trends after they are firmly entrenched; a.k.a. I can see things when they are obvious. And sometimes before. Get your blanket statements here! Unrelated: The playlists Rookiemag.com puts out are PRISTINE. Unpredictable. Perfect. They keep me going. This one is playing my heartsong right now. 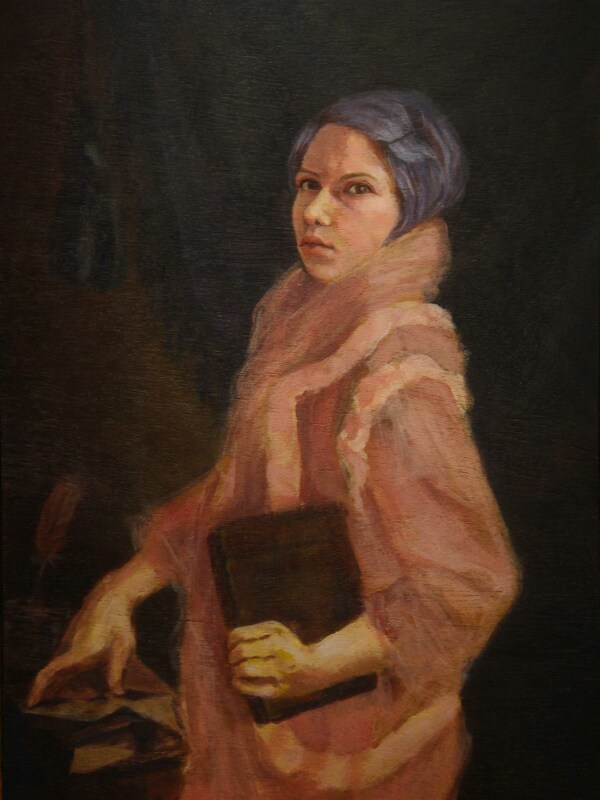 Remember when I made a painting of Tavi Gevinson (teen editor of Rookiemag.com), blogged about it and she commented on this very blog? IT HAPPENED. An internet connection away from Stardom. which by all accounts is a lazy representation of a walrus, fun though it may have been at the time. 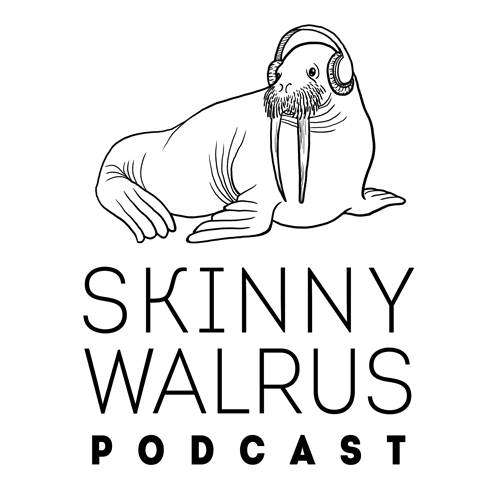 Skinny Walrus has grown up and Brian was down to let me make the update. 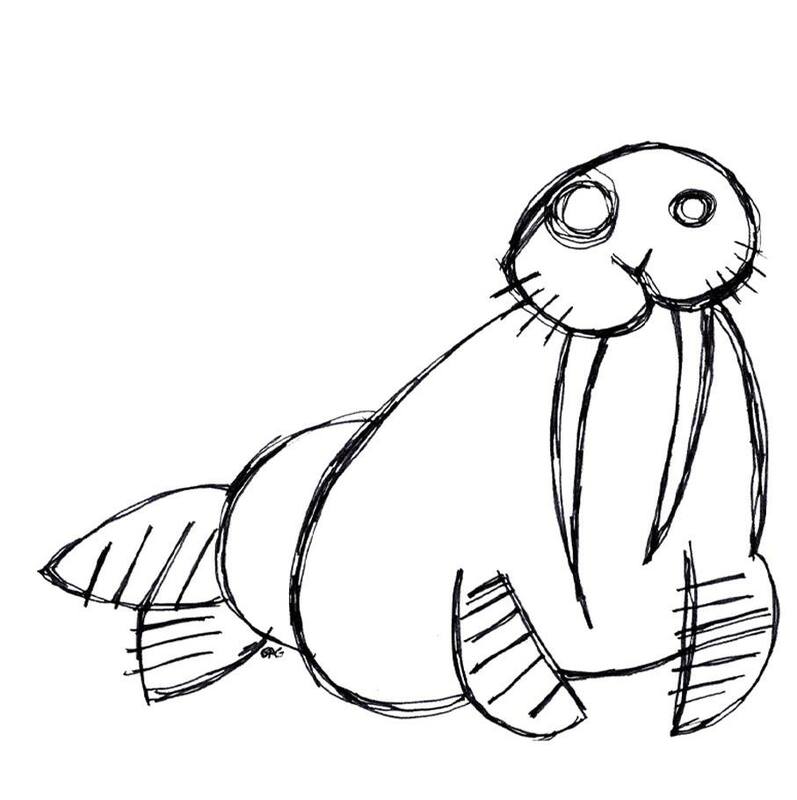 I wanted a little more gravitas without sacrificing fun, and this drawing I did of a walrus pleased me – Walrusy, with cute rolls, a little classic ridiculousness (a walrus has this inherently), mixed with the respect that is any large mammal’s birthright. For the podcast: just add headphones. I tried a few things, decided on san serif to narrow it down, and finally landed on this (Intro Condensed Light). It’s clean, bold enough to be readable, light enough to land the “skinny,” and that detail on the “K” and the lone serifed “I” had a little of the old logo’s flavour. I made this variant to have some other option than ICON over WORDMARK or ICON beside WORDMARK. Plopping horizontal logos into spots made for square or round logos (and vice versa) is such a pain, I like to have a few variations for different uses. 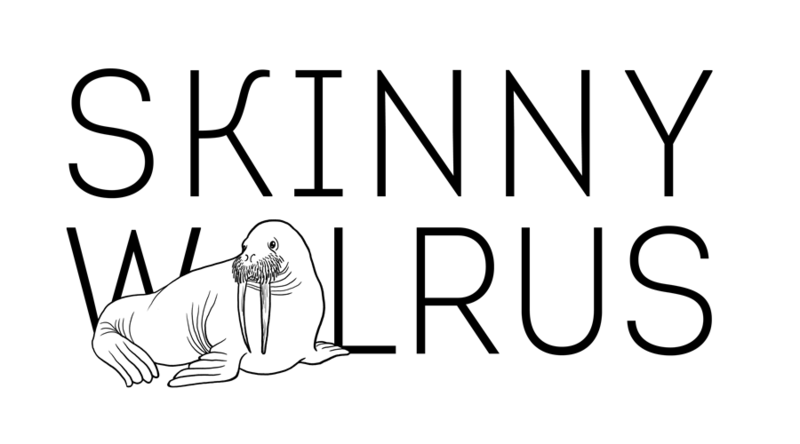 Plus how cute is that walrus, just holding court in front of the words like he’s always been there? 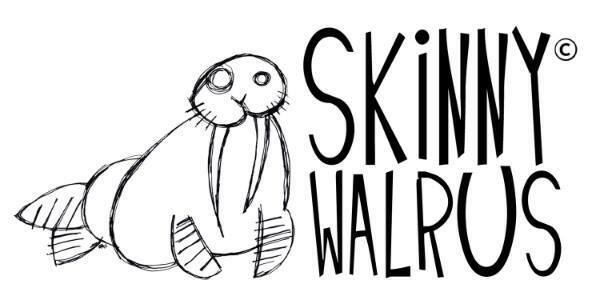 If you are in Vancouver, or Saskatoon sometimes, check out anything directed by Brian Cochrane of Skinny Walrus. He wins awards, directs and acts, and also has a podcast and a brand new logo. You’re gonna be so into all of it. Copyright 2011, Gillian Goerz, gillustration.wordpress.com & GillianG.com. All rights reserved.